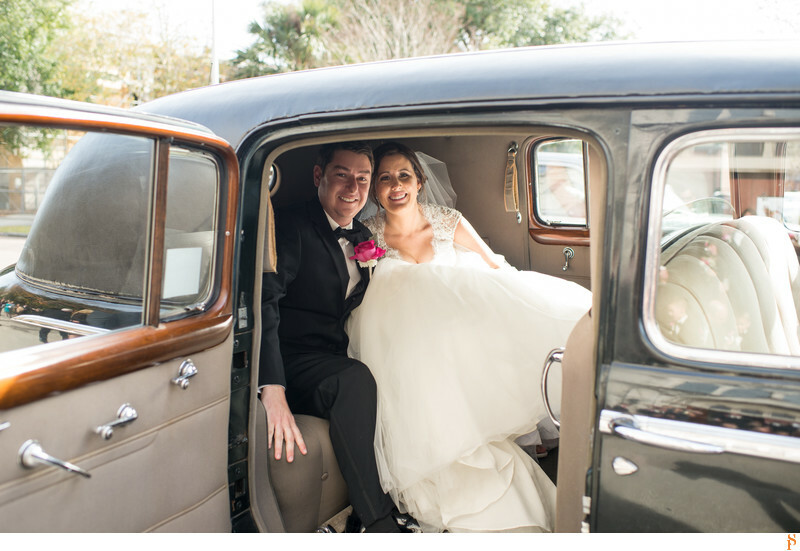 We love this photo of the bride and groom in the old car they rented for their wedding day. The ceremony was at the Immaculate Conception and the reception at Epping Forest. The gorgeous old car was perfect for photos! Location: 1830 Epping Forest Dr, Jacksonville, FL 32217.